I just got back from an amazing trip to Panama! We were in the jungle in the western part of the country in an area called Cineguita. We worked all week digging out a basement and pouring in concrete for a dental clinic that was being installed to serve the entire area. We worked hard and we ate hard! We had an amazing Panamanian cook/friend who prepared wonderful meals for us all week. Over the next month I will be sharing some of those recipes, but for now I am sharing a dish inspired by some of the flavors of lime and fish I always encounter in Panama’s amazing ceviche. I am taking these awesome flavors, combining them with a zesty chili lime sauce, and wrapping it all together with avocado in a warm corn tortilla! With the arrival of Spring, this is a perfect dish to pull out the grill, have a tropical drink and enjoy the fresh light flavors of Central America! 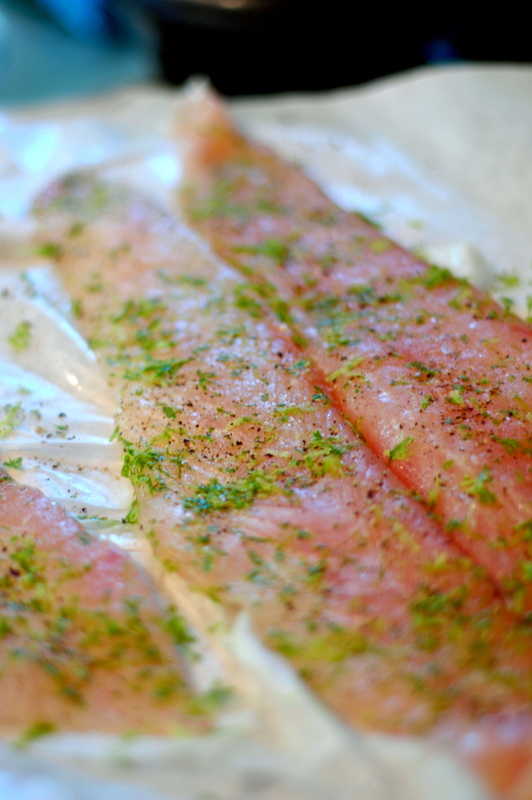 1.Fish Prep: I used Flounder for this recipe. It’s sweet meat balanced the sour lime very nicely! 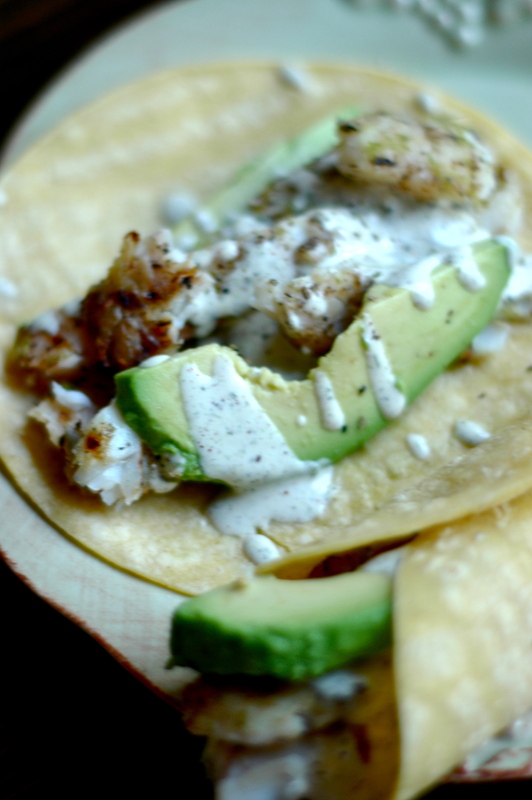 Tilapia would also work well in this recipe. Lay the filets out on a pan. Squeeze the juice of one lime over the filets. Then salt and pepper both sides generously. Now take the zest of 2 limes and spread over both sides of the filets and gently press the spices and the zest into the flesh of the fish. Finally lightly drizzle olive oil over each filet. Let the filets sit in the refrigerator for 30 minutes marinating in the lime juice and taking on the flavors of the zest. After 30 minutes cook the fish on the grill until cooked through. 2.Zesty Chili Lime Sauce: In a small bowl add the mayonnaise, juice of 1 lime, cilantro, pepper, cayenne, chili powder and sugar. Mix all ingredients well with a whisk and add salt if needed. Place in the refrigerator until ready to serve. 3.Taco Assembly: Steam small corn or flour tortillas. 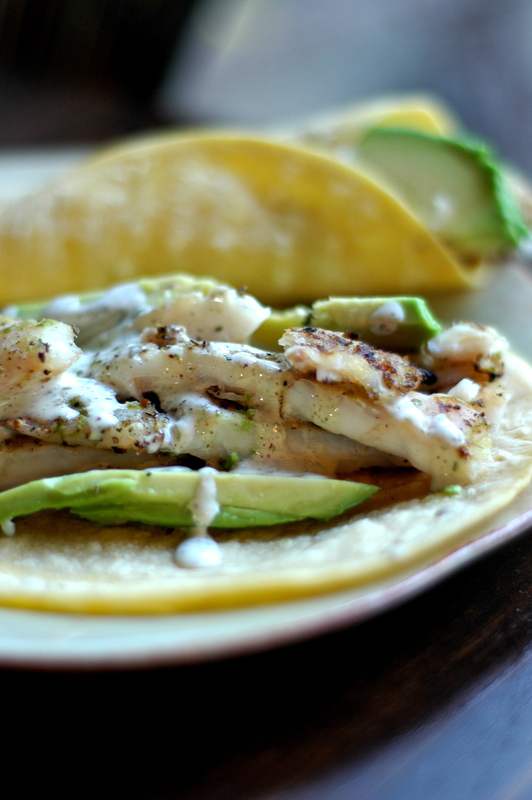 Add slices of the fish and thinkly sliced avocados to the tortilla. Finish by drizzling on the Zesty Chili Lime Sauce. Enjoy! This entry was posted on Thursday, March 31st, 2011 at 2:40 pm	and tagged with Birmingham, Fish, Lime, Pork, Recipes, Taco and posted in Uncategorized. You can follow any responses to this entry through the RSS 2.0 feed. Made these tonight-Didn’t grill the fish, just sauteed in a nonstick pan with Pam. Used nonfat greek yogurt instead of mayo, and added shredded red cabbage for crunch. Not authentic, I know, but good! Love the blog! Found you through the CUMC lenten study. Thanks!! !